The best type of bookstore find is one where you take a peek the blurb on the back cover, then start reading the first page or so to see if it piques your interest… only to realise after quite some time has passed that staff are eyeing you suspiciously, wondering if you plan to read the whole thing in an entire sitting without first taking it to the counter to be checked out! The Rabbit Back Literature Society was - for me - one of those books. From the (all-too) brief impression I received before purchase I knew it contained all the ingredients of a novel I knew I would love. It’s a book about books, authors, literary research, wonderfully strange characters, and just the right amount of magic. Had I the chance to read the whole thing in one sitting without disturbance then I probably would have done so. Instead, I found myself enjoying it so much that I only wanted to savour it, to enjoy it slowly in the evenings when no-one else was around, and I'm so glad that I did. Fans of Haruki Murakami will probably relish this tale of infectious books, vampiric authors and mythological woodland creatures. Chances are, when you read this you’ll wonder (as I did) what exactly what was happening right through to the end - and beyond! Despite my slow careful reading, I still have a great many questions; yet this in itself is strangely satisfying. The author, Pasi Ilmari Jääskeläinen, provides some insight on his website should you wish to delve further into the mysteries… I've made my own conclusions and I enjoy them, though no doubt on my second (third or fourth) reading, my opinions are liable to change. I give this book a resounding 5 out of 5 and hope you might enjoy turning the pages as much as I have! 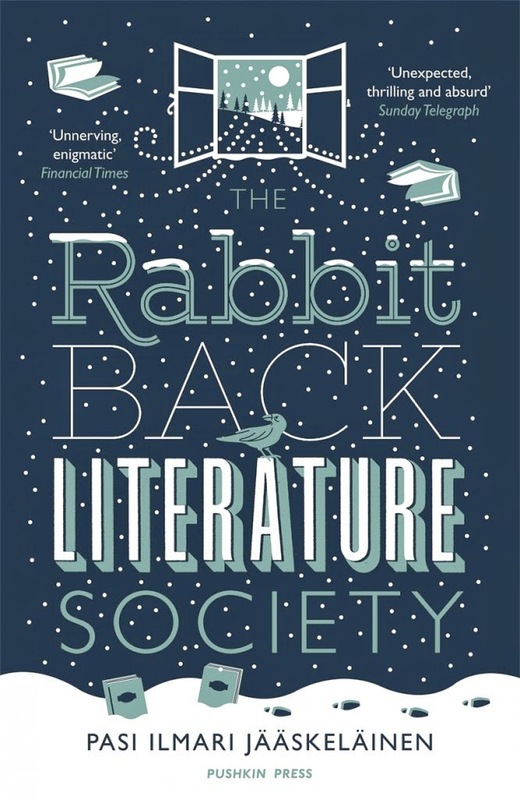 The Rabbit Back Literature Society is published by Pushkin Press and is available through most major bookstores.